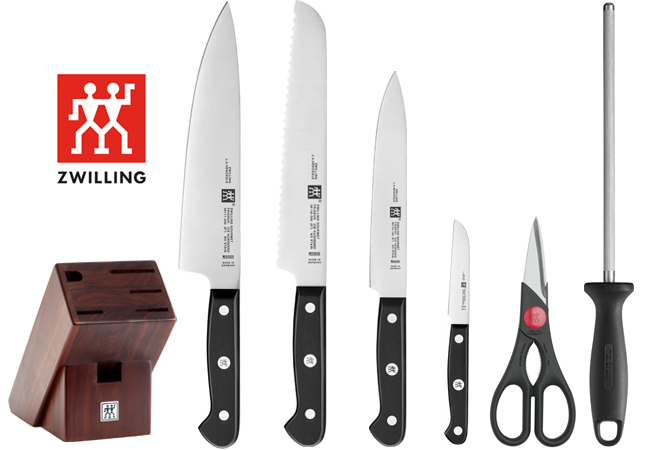 ZWILLING, established in 1731, is among the most respected knife brands in the world, used by top pros & amateurs who appreciate quality, performance & design. Their knives are made for a lifetime of superior performance. 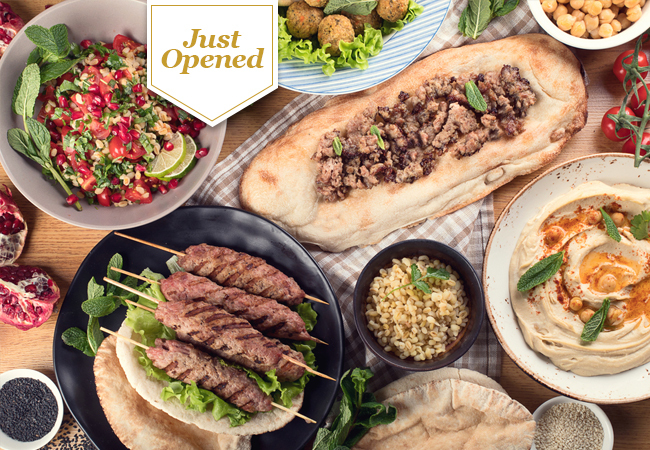 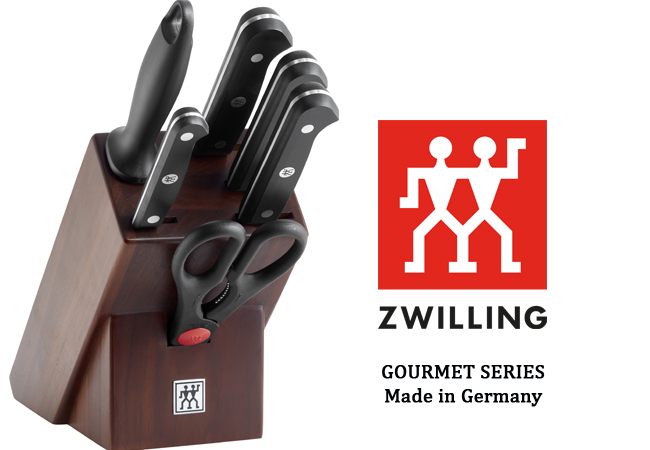 ZWLLING's Gourmet series is especially-designed for the home chef eager for her/his everyday knife to be exceptional, without going into crazy prices. 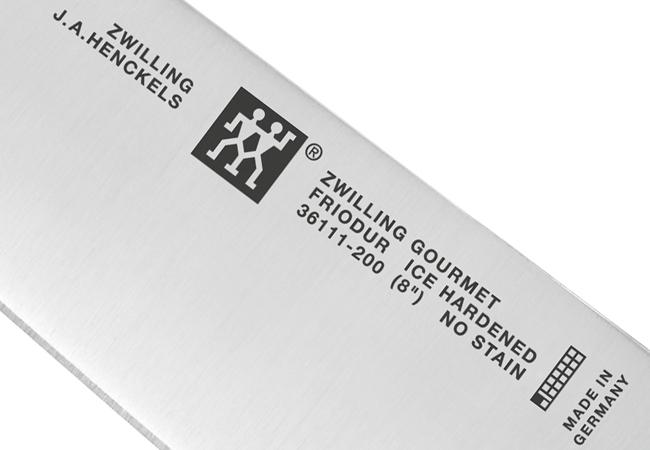 The knives are crafted in Germany, using ZWILLING's FRIODUR® ice-forging blade technology, to stay sharper for longer. Each knife is made from a single piece of solid steel with an ergonomic seamless handle, designed for performance & durability.